Former Secretary of State Colin Powell on Wednesday said that American air power alone cannot defeat the Islamic State of Iraq and Syria (ISIS, also known as ISIL). However, he said, Iraqi forces on the ground will be responsible for taking back territory that the Islamic militants now control. "I'm an infantry officer. And I know that sooner or later if you want to prevail, and apply decisive force, you have got to go in on the ground. The ground has to be taken and the enemy needs to know he has lost it," Powell said at the Army and Navy Club in Washington, D.C.
Iraq's central government must create an environment in which the Iraqi Army has the capability and the motivation to stand and fight the radical Islamic militants, he said. "It's going to have to be an Iraqi Army that has the will to fight, and that has a government that has given them the will to fight, given them the means to fight." U.S. powerless to stop ISIS taking Syria town? 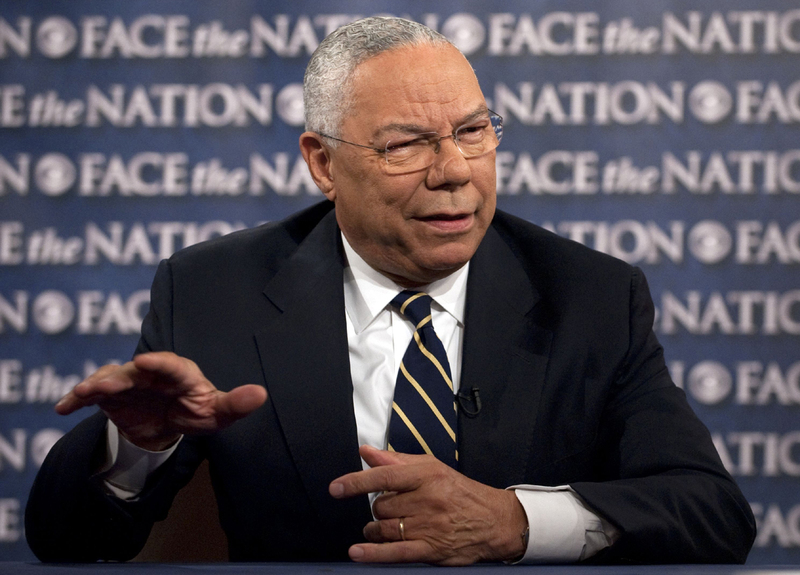 Powell was Chairman of the Joint Chiefs of Staff during first Gulf War and secretary of state when the U.S. invaded Iraq in 2003. Powell also expressed his support for the Obama administration's decision to send troops to West Africa to combat the Ebola virus. Powell said that no other country in the world has an army that is so adaptable to a multitude of challenges and has the logistical ability to move forces around the globe so quickly. "I don't think this is an unreasonable mission to give the armed forces of the United States as long as they are working with health organizations from around the world, and especially from the United Nations," Powell told the audience. "And we have to make sure that as we send these young people over there, we are protecting them from the very disease they are going over there to help other people get away from." In Powell's opinion, the most important thing the United States can do to improve its foreign policy position is to make necessary improvements at home, such as rebuilding American infrastructure and improving America's educational system. "We really have to focus on our economy, our education, our infrastructure, and our economic base," Powell said. He also criticized the political gridlock in Washington, criticizing a "constipated" Congress that is unable to pass any bills.